What is Sage 50 Error Printer not Activated Error Code 30? Sage 50 Printer not activated error code 30”, is a common error occurring on windows platform on Windows XP and later versions like windows 7, 8, 8.1 and 10. This error can occur due to a variety of reasons. The reasons for this error are given below. This error occurs mostly when users are trying to print out a form from Sage 50. This may also occur if you are trying to send email through programs like Microsoft Outlook. The process of fixing this error is contingent on the reason for this error. First you need to identify the cause and then follow the appropriate method to solve this problem. You can also use the hit and trial method by doing following the steps given below, if you are not being able to identify the cause. Now change the level of user account control by adjusting the bar. Bringing the bar to never notify will enable all the users to make changes to windows without administrative privileges. This will also enable them to perform actions that were only reserved for the administrator user account. Instead of changing the user account control settings you can also right click on the sage 50 executable and hit “Run as Administrator.” You will also need to run the email program as an administrator.You can also make the two programs run as administrator by default. Go to the executable of both the programs. This will make sure that the programs always run with administrative privileges. Using one of these programs can solve your errors. There are other email programs that might work well with Sage 50 but the above listed ones have been tested to be fully compatible with your accounting software. Click on Printer and Faxes in Windows XP, Hardware and Sounds in Windows Vista and Devices and Printers in Windows 7 and higher. Now you can check all the installed virtual and physical printers on your system. Right click on the printer you want to set as default. You can also change the printer option while printing out the form. To do this, just select the actual printer while printing out the form. Also, make sure that your printer is not turned off while you are trying to print and is also connected to your system otherwise you will always get an error. Right Click on Sage 50 Email Writer and Click on Remove device. Goto the Drivers tab and Select Amyuni Document Converter 450. Right Click on Sage 50 Email Writer and select Properties. The Sage email writer can also be with the title of Peachtree Email Writer. Make sure there is a check mark against PDF one in the Ports tab. Goto the Advanced tab and mark the radio button against Spool print documents so program finishes printing faster. Checkmark the box against Enable advanced printing features. Now select the radio button against Print directly to printer. The changes will be applied only after a system reboot. This option will also enable you to create a PDF of the reports that can be printed without any hindrances. To do this you need to select ‘Print to PDF’ option among the print options. Then you can open the saved PDF and hit CTRL + P and select the actual printer to take out the print. Select Printer and Faxes for Windows XP and Devices and Printers for windows 7 and later. Now find and select all the users not listed and click on ok.
You may also need to remove printers that are causing a conflict with the drivers. For this you can remove all the virtual printers that are not associated with Sage, Peachtree or Microsoft. 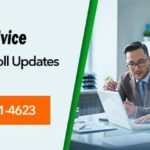 You need to make sure that the version of Sage accounting software and Microsoft Office that you are using is up to date. To do this you can go into the help section of the two softwares and click on check for updates. The program will automatically check for updates and will provide with an update option if updates are available. You can install the updates manually by going to the respective websites of the programs and then downloading the update files and installing them on your system. You can resolve Sage 50 accounting printer not activated error code 30 by following the steps provided above. 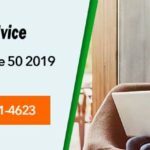 If you still cannot fix Sage 50 email writer error code 30, then you should consider calling up and expert to resolve this issue for you. If you are facing the “Printer not activated Error code 30” due to any of the reasons like user account control, Sage 50 email writer, Sage updates etc. you must seek to fix it as early as possible. You must report the problem to Sage accounting support. 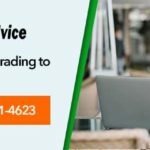 Alternatively, you can choose www.accountingadvice.co, a widely accepted Sage support providing company that houses proficient Sage professionals who provide you instant assistance via Sage accounts support telephone number. Connect with us today dialing the 24x 7 active toll free numbers 844-871-6289. 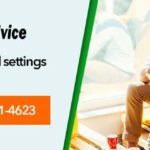 Previous post: How to Fix Sage 50 Installation Error 1935 When Installing Sage 50?